Mairi MacArthur looks back on our early days. 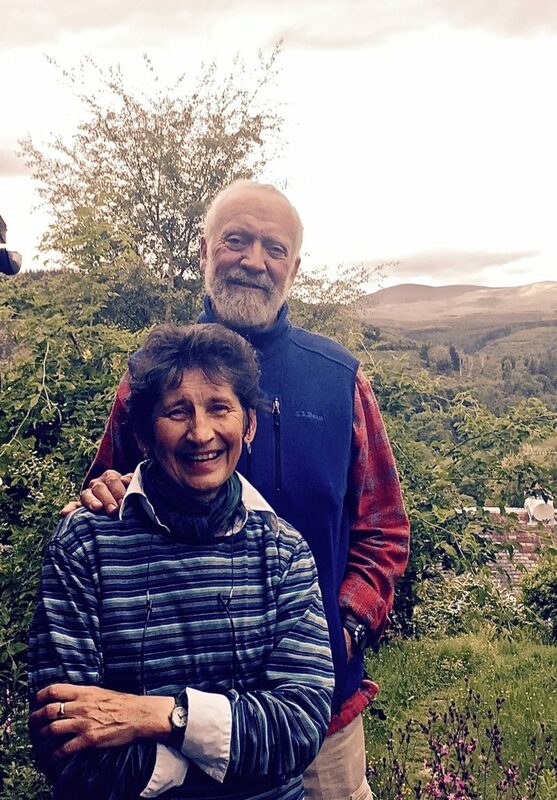 Mairi MacArthur – one of the founding members of Friends of the Earth Scotland and the first Chair of Friends of the Earth International – reflects on her time with us 40 years ago. I first heard of Friends of the Earth while working in Toronto in the mid-1970s. The words sounded benevolent but what did they mean? Later I took the long way home, westwards, seeing more of the Earth than I could ever imagine from the windows of many buses, one plane, three ferries and a Trans-Siberian railway carriage. By late 1977 I had discovered FoE Edinburgh, some of whom remain Friends and friends to this day. In addition to “acquaintance”, the Scots word “freen” and Gaelic “caraid” carry an extra layer of meaning: that of a close family bond. I then learned that, in 1969, David Brower had wanted his new radical organisation in the US to have sister groups across the globe, and to be called after his hero, emigrant Scot John Muir who signed his address ‘Earthplanet, Universe’. But Brower’s wife Anne suggested an alternative: a name that implied comradeship and belonging, together in a common home. Plus it had the bonus of a punchy acronym. I could add little expertise to the many campaigns already active in FoE, but I could take shorthand and type. That was my day job at the SCVO which at the time was helping the voluntary sector prepare for the proposed devolved Assembly: everything from improving lobbying skills to constituting separate Scottish bodies. The FoE groups had first met together in Dundee, early in 1977, to discuss those very matters. That was the real start. Back then communicating meant just getting the word out – literally. So, I was happy to type: dozens of minutes, press releases, letters, draft constitutions; hundreds of leaflets; thousands of words. The typeface changed as my sturdy manual was overtaken by an electric ‘golfball’ machine – hey, we could now type in italics! The hi-tech world crept in, but slowly. We pondered getting a new-fangled answering machine for the office’s single landline; another day I stared in wonder as Xanthe Jay, our first full-time Campaigner, sent her first Fax message. Action stepped up and spoke ever louder, underpinned by all those words, not that those directed at us were always supportive. We were ‘latterday Luddites’, despite our many job creation ideas, and the fact that ecology and economy both have the Greek word for ‘home’ at their root. A press release on the risks of nuclear power, from Mary McClintock and Fiona Riddoch in the Edinburgh office, was scorned by a daily paper as ‘the wailing of banshees’. Did the hack not know his folklore? A banshee’s role was to warn of disaster, her cry was taken seriously…and she was always dressed in green. So, FoE Scotland, keep on sailing! It’s the only thing to do. Friends of the Earth Scotland celebrates our 40th anniversary this year. In that time we’ve been campaigning to stop nuclear power, to clean up our environment and tackle climate change. We’ve won many victories but have plenty of work still to do. Join us today and be a part of our next success.